Earnings Per Share – In terms of earnings per share, SPWR did relatively well. During the second quarter, analysts expected that the company would produce a loss of $0.24 per share. However, the company actually reported a slightly narrower loss at $0.22 per share. Revenue – Another area where SPWR did incredibly well was revenue. During the second quarter, analysts expected that the company would generate $345.08 million in total revenue. However, the company actually generated a total of $420.5 million; once again, beating expectations. 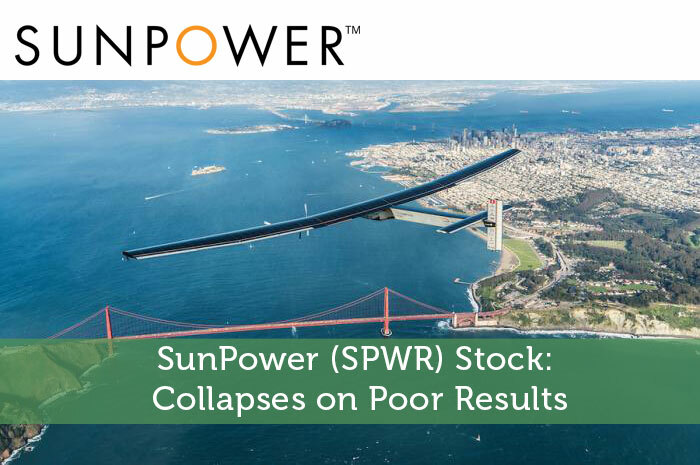 Guidance – One of the big concerning areas of the Q2 results was that SunPower has decided to slash its guidance for the year 2016. Previously, the company guided that for the full year of 2016, the company expected to earn up to $50 million during the year. However, the company now says that it will likely lose up to $175 million in the year 2016. Restructuring – Another big announcement that was made today was that the company will be restructuring in a big way. Early this morning, the company announced that it will lay off 1,200 employees. As a result, SPWR encur restructuring costs of between $30 million and $45 million. While the earnings release was relatively positive in terms of earnings per share and revenue for the second quarter, there are still several concerns with regard to SunPower’s performance ahead. Unfortunately, with slashed guidance and a restructuring plan that seems like a desperate move to save money, investors are losing faith. As a result, we saw massive declines in the value of the stock today. By the end of the trading session, the stock had fallen to $10.31 per share after a loss of $4.47 per share or 30.24%. Moving forward, I have a relatively mixed opinion of what we can expect to see from SPWR. In the short term, things are looking grim. The company has a massive hurdle to make its way over with regard to expenses associated with restructuring as well as expected losses throughout the year. However, in the long run, the company still has a chance to turn things around. Where do you think SPWR is headed moving forward and why? Join the discussion in the comments below!